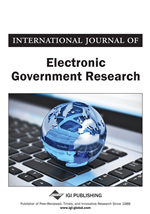 The arrival of electronic channels in the 1990s has had a huge impact on governmental service delivery. The new channels have led to many new opportunities to improve public service delivery, not only in terms of citizen satisfaction, but also in cost reduction for governmental agencies. However, until now these promises of e-government have not been met. In general the use of the traditional channels remains high and the costs of introducing and maintaining the electronic channels have merely been additional costs. These observations call for a deeper understanding of the behavior of citizens. Why do citizens choose the channels they use to obtain services? Furthermore, how should knowledge about these behaviors be used to improve governmental multi-channel service strategies and marketing activities? In this article, citizens’ channel behavior will be analyzed while channel usage will be discussed. The authors will explore the channel choices of citizens and further converse on how these findings may help in improving channel strategies and marketing and thus help in improving citizen satisfaction and reduce cost of governmental service delivery. Usually, governmental organizations are seen as “bureaucratic” organizations. This Weberian type of organization focuses on such aspects as departmentalization, specialization, standardization and routinization of the production process (Simon, 1976). Consequence of this focus is that “cost-efficiency” is a central goal of bureaucratic governmental organizations (Tat-Kei Ho, 2002). This primary focus on internal processes and procedures led to a low service orientation in the public sector until the 1970’s. As a consequence, within the public sector, there was little attention for the relationship with its environment; why ask citizens about their needs if you are able to assess those needs yourself?